Goodah!!! 's Krispy Kare-kare or "KKK" uses fine ground peanuts to give the tradionally rich flavor of its sauce. Every bowl was filled with cooked string beans, talong, pechay, and of course, puso ng saging. Of course, the soft and juicy beef flank. The Shrimp paste gives the Kare-kare an additional flavors. During the event, guest tried the Krispy Kare-kare, Crispy Pata and the BBQ Chicken. 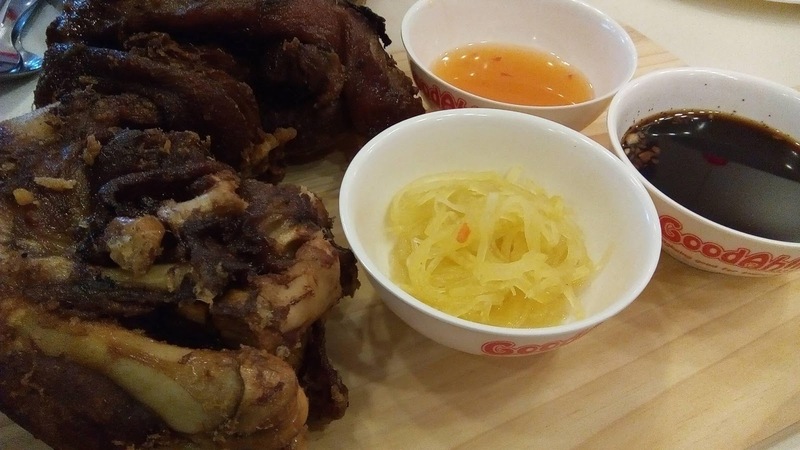 Among the three, I love the Crispy Pata more, the texture and the crispiness of the pork is just enough to satisfy your taste buds. 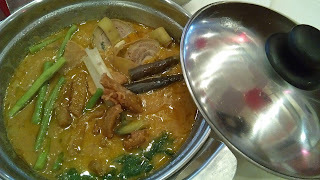 Krispy Kare-kare is good, however, I feel like that there is something missing in the dish. I just don't know perhaps its just me. 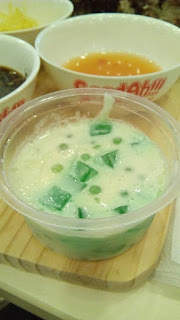 Also, we have Buko Pandan for dessert. Special guests and the top management of Goodah!!! 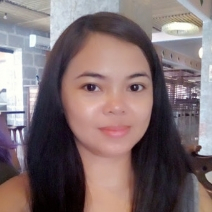 enjoys the food and the newst branch including the brand ambassador and celebrity talk show host, Mr. Boy Abunda. For sure, Goodah!!! will continue to push culinary boundaries with new and exciting dish in the future. Goodah!!! 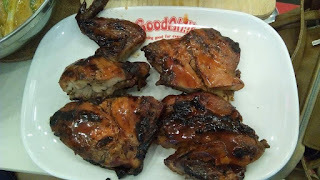 has been doing this for 30 years that is why many others has become a ubiquitous part of the popular Filipino meals today, and each one is Pagkaing Good for Every All. 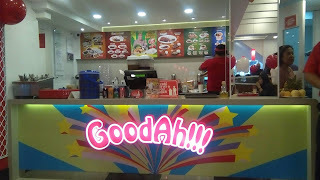 Check out their website at www.goodah.com.ph or their Facebook at www.facebook.com/GoodahPh for more exciting dishes from Goodah!! !